Nobody wants to look larger than they are when going for a wedding, be it the bride or the guests! But are you dressing right to look slim? Try these 7 wedding outfit ideas to look slimmer than ever! Image source: Morvi Images on Instagram It is a well-known fact that black has the immediate effect of slimming a person down! So pair a solid, black choli with a simple border with your lehenga for your next wedding function. You will definitely look slim! Also read: How To Make Your Wedding Outfits Last A Really Long Time!! Image source: Sabyasachi Mukherjee on Instagram Small-patterned, fine but subtle embroidery on your lehenga ensemble can make you look slimmer - like the effect this Sabyasachi piece has. So try this if you want to look slimmer. 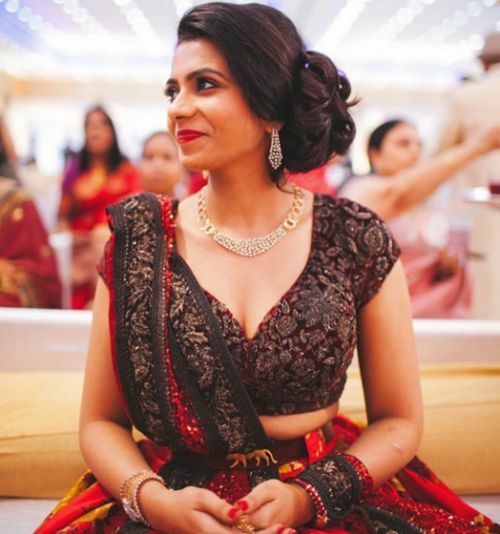 Image source: Sanjana Batra on Instagram If you want to look slimmer in wedding wear, then saris and lehengas with longer lengths work better than those with shorter ones. This is because a longer hem - till the floor - doesn’t visually cut your body in half and make you look bigger than you are. So avoid wearing outfits where the hemline hits your ankle or above. Go for longer anarkalis and lehengas which sweep the floor. 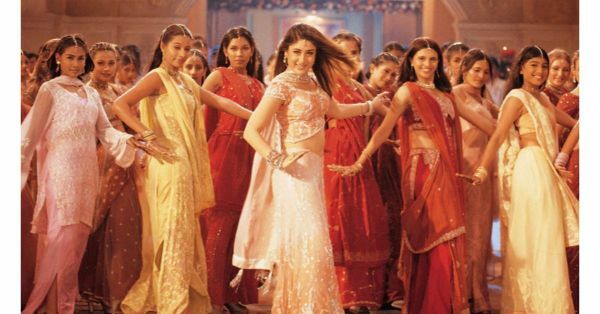 Also read: 7 Pretty Colours To Wear To A Morning Wedding Function! Image source: Sabyasachi Mukherjee on Instagram Choosing a sari in solid colours has a slimming effect than an outfit with many different patterns. Like this Sabyasachi sari here which in its singular yellow easily lends a graceful silhouette to the wearer. Image source: Sabyasachi Mukherjee on Instagram In case your planned wedding outfit is printed, the thumb rule is this: the smaller the print, the slimmer you will look. Bigger or stretched prints will make it feel like there is a lot going on in your look, and as a result, you will look smaller and heavier. So choose smaller, subtler prints to show off your figure! Image source:Triporna Majumder on Instagram A kurta with vertical pattern on it will not only make you look taller, but also much slimmer by making you look way less broad! For that reason, this Sabyasachi outfit is a work of genius, because the vertical pleats give Kajol an amazing figure. Also read: 6 Super Pretty Outfits For The Curvy Bride-To-Be! 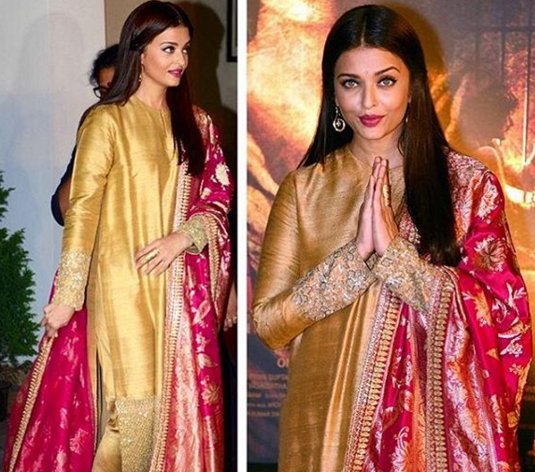 Image: Sabyasachi Mukherjee on Instagram In this simple, golden, handwoven Sabyasachi salwar kameez paired with a pink Banarasi weave dupatta, Aishwarya Rai manages to astound, while looking gorgeously slim! The secret is the use of minimal colours, as too many in one outfit can clutter the look, and hence, make you look larger. So go with an outfit that uses same colours throughout for the slim and trim look this wedding season! HAVE A STORY IDEA FOR POPxo? If you want to hear about it, we can write about it! Just tell us your idea here!